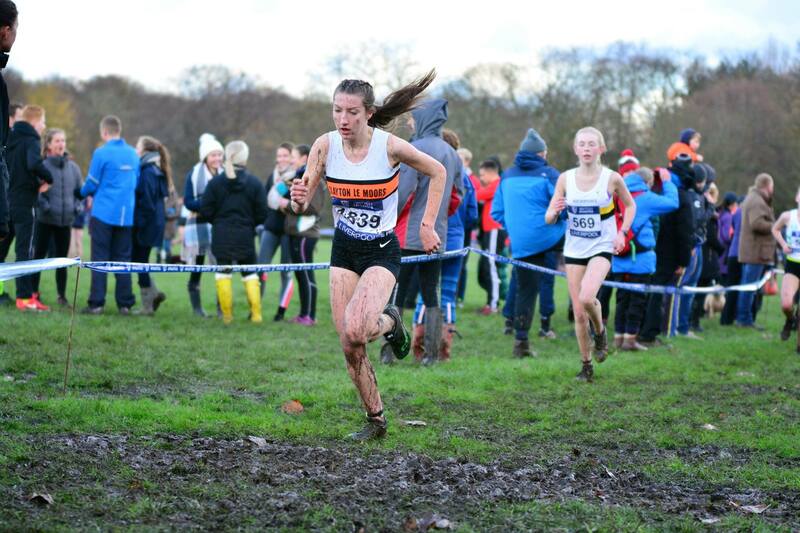 As we head through Autumn and toward Winter proper, the mud has been building and the cross-country races coming thick and fast. 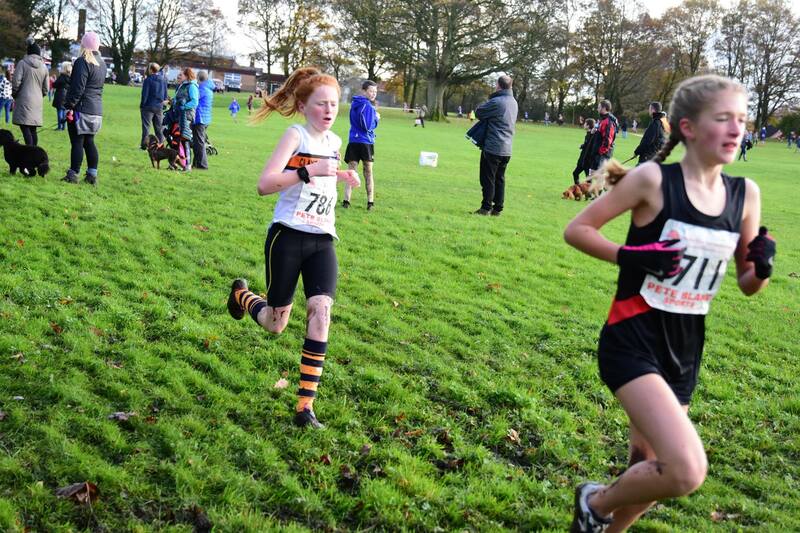 Two Red Rose fixtures and the expanded Mid Lancs fixture at the Liverpool National Cross Series have kept our runners and teams busy this month. 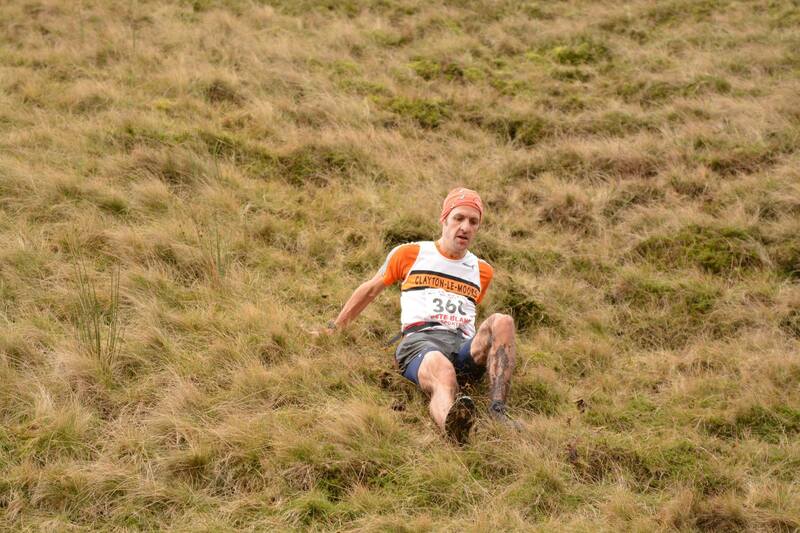 There’s been a season’s swansong too for the fell runners at our very own classic, the Tour of Pendle. 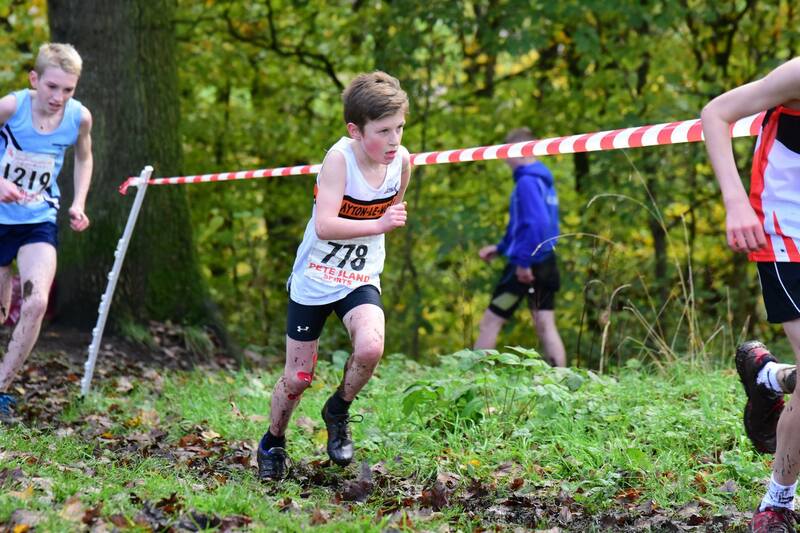 Astley Park, Chorley was the venue for the 2nd round of this popular series with it’s course mix of fast flowing grassland, woodland trails and ankle eating bogs. Amelia Halstead had a great run in U11G for her first top ten placing this season, and Helana White also produced a stormer for 4th in U13G in her first season in this age group. 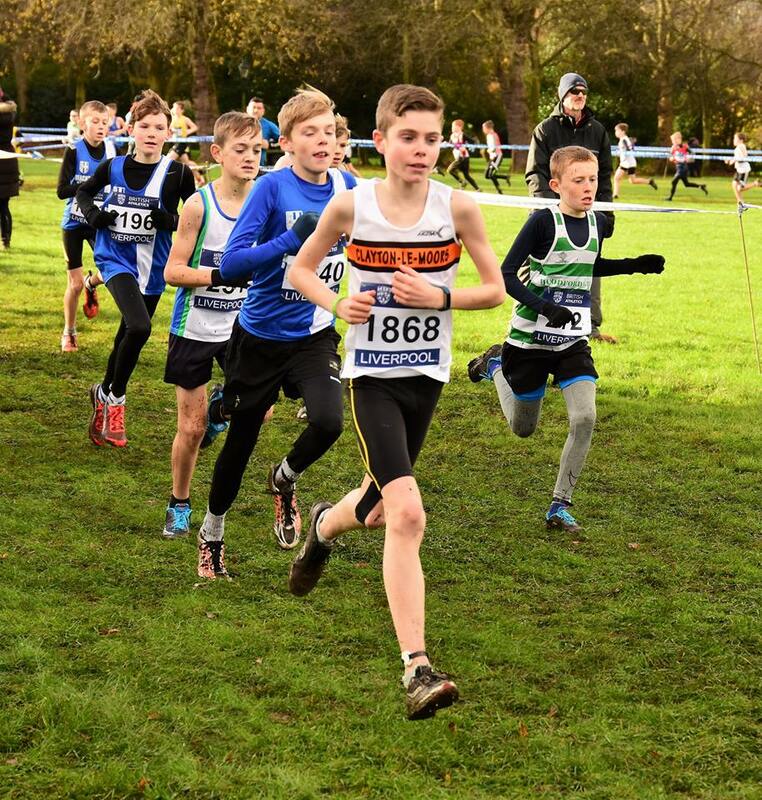 Robbie Smedley (also in his first year in the age group) continued his good run of form in U13B with a 3rd place and was backed up by Finlay Stubbs and William Nicholls with the boys taking 2nd in the team competition. Josh Hall took 5th in the U17B and Briony Holt 3rd in U17G. Amelia Halstead on her way to 10th. Photo: David Belshaw. Kaliska Clarke. Photo: David Belshaw. Danny Collinge led the Senior men home for 10th place, with Tara Robb the first lady home in 20th. The Men’s team were 4th overall and the Ladies 6th with some great individual performances to secure those team positions. We had a fantastic 20 ladies take part in the 2nd Red Rose Fixture. 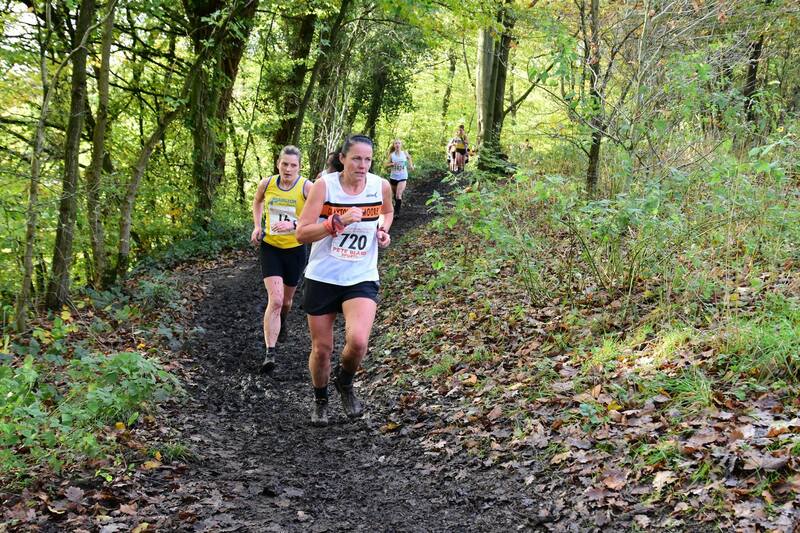 Weather was great, a bit chilly but fine at least and there was plenty of mud for our ladies to enjoy. Cassie Smedley. Photo: David Belshaw. Hot on the heels of Round 2, it was off to Leverhulme Park, Bolton and the familiar mixed grass and hills course for the 3rd round of the League. In the Juniors, Robbie Smedley finally pulled off a fantastic win in the U13B, something he had been working hard toward for a while. A mixture of good racecraft and guts saw him beat perennial rival and friend Dexta Thompson, formerly of Clayton. The U13B team (with William Nicholls and Matthew Jackson) picked up a strong 2nd place as a result. 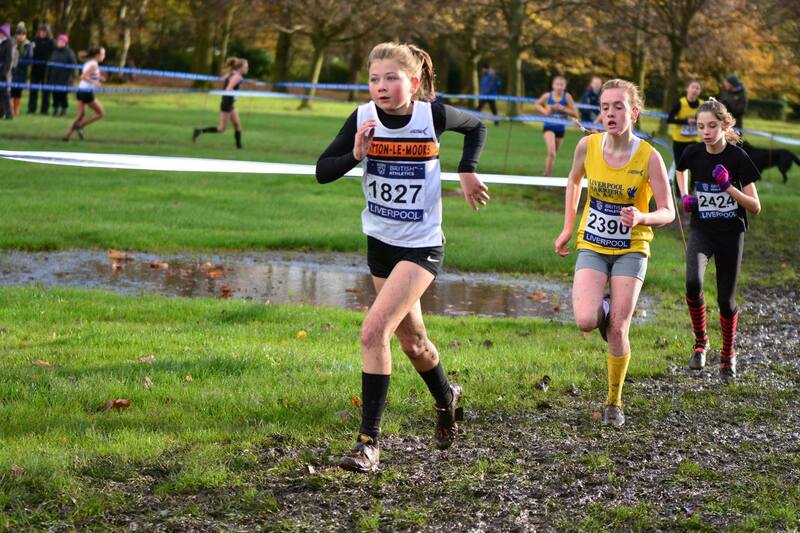 Briony Holt also went one place better than in previous round for 2nd in the U17G. In the Seniors, Tom Brewster led the men home in 27th, whilst the U20 men of Callum Holmes, Reece Lawrence and Simon Wilshaw were 1st team. Andrew Holt has continued to get faster and faster this season and took 16th in the Vets. 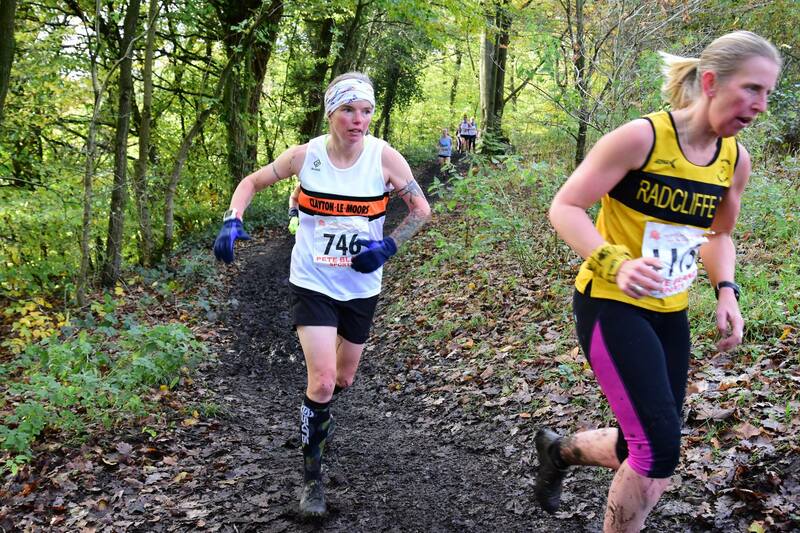 Our first lady finisher was Cassie Smedley in 21st place who described the course as wet, muddy, hills and grass but was a good race and enjoyed it. 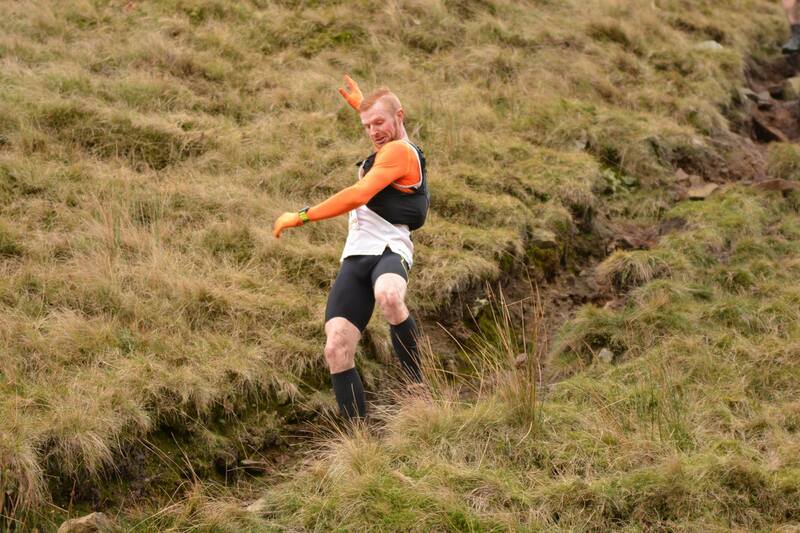 At the same time as the Red Rose League was taking place in Bolton, the club’s keen fell runners were battling their way round the classic Tour of Pendle route. A clear and relatively benign day eased most of the navigational and weather challenges, but there was still plenty of water in the bogs to entertain and keep things appropriately ‘Pendle’. 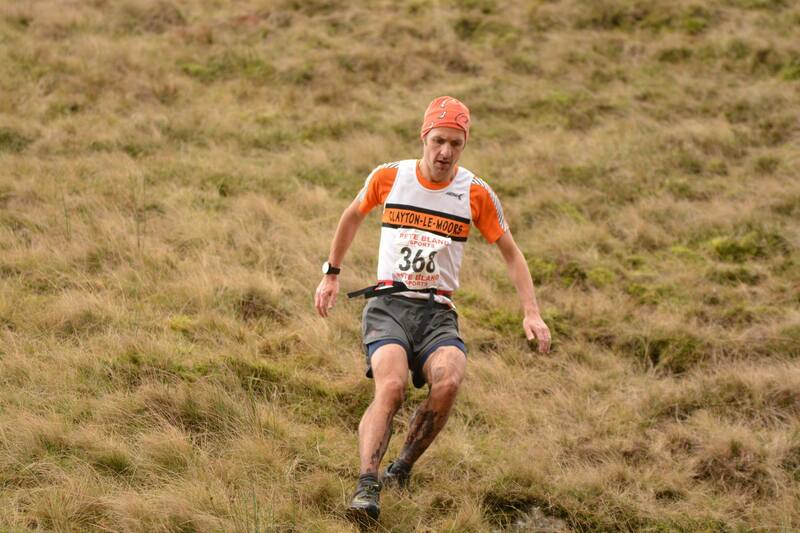 Our own Chris Holdsworth capped a fantastic season of fell and mountain running and proved his fell credentials yet again with a storming victory over the 17 mile course in 2:19:16. Hot on his heels, and in 3rd place (overall!) was Victoria Wilkinson who smashed Angela Mudge’s long standing womens record with a truly outstanding run for 2:23:25! This was my 1st time doing the Tour of Pendle after sort of being talked into it by Ste Ainsworth, Chris Funnell and Andy Foster on our Sunday runs and during Tuesday training. 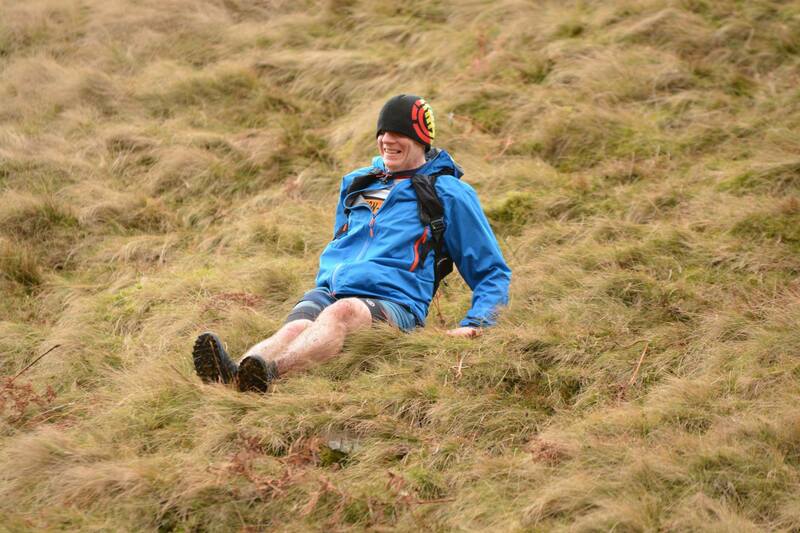 Ste and my main aim was to support Andy round so he could get his points for 3 Peaks as he had been injured for a short period and we were just going to have a go “for a laugh”. We did a recce of the first half a few weeks before as foolishly I was most concerned about the CP4 cut off time – how daft that was!!! Race day was a bit cloudy to start but we knew it would soon clear and got registered numbers etc before a quick brew and double check of kit and maps then joined the throng for the start. Our intention was to start steady and hopefully finish steady having heard grim tales of grown men weeping on the Big End. We set off sort of mid pack-ish and followed the path of muddy prints up onto Buttock and the 1st bit of the climb before seeing David Belshaw. His shout of “glad I’m not running” had me thinking ‘how the hell did he get from Burnley Parkrun to his photo position so quick – I wish I could move that fast’. 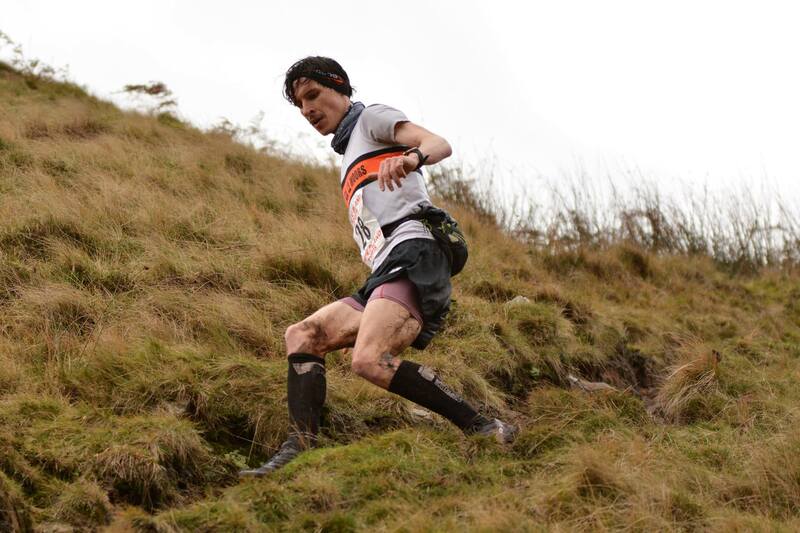 It was great to get to the trig and see so many people about encouraging runners, and we fell into a nice comfy rhythm that carried us over the stile and through the mud. Before we knew it seemed we were descending Geronimo to CP4 with a good 25 minutes to spare. We stuck to our plan and stopped for 2 minutes to water and fuel up as we knew the worst was to come. We set off up the trail back over to the Nick and the climb to the memorial before the drop to Mearley which did surprise me and not in a good way!! I managed to only slip the once climbing into the Clough before the ascent and this was the toughest for me as my calves were on fire and I felt like I was literally crawling and getting nowhere. In fact half way up, I considered throwing myself down the hill to be carried back to Barley by Mountain Rescue or doing a Laurel and Hardy with some feathers and getting a St Bernard to rescue me with a barrel of brandy but Ste’s encouragement from behind pushed me on and we summited by the cairn. Andy was a short way behind having cramped a bit so we sorted ourselves out with some excellent peanut butter fudge and set off for the last challenge of the Big End. I found this easier as I knew it was the last climb but Andy said he was hallucinating about a shimmering pint at the top that got no closer! After that it was good to not be on a 90 degree surface and we set a decent pace back off from the trig, down Ogden to the finish, managing a strong finish and passing a few more knackered people on the way in (hill reps pay it seems for a finish). After managing to get dressed without the aid of our fingers or hips it appeared, we retired to the Pendle Inn to discuss the event and had decided before any alcohol that we would do it again next year. This was one of the best organized and marshalled events I have done locally and would like to thank the organizers and volunteers for a grand day out. 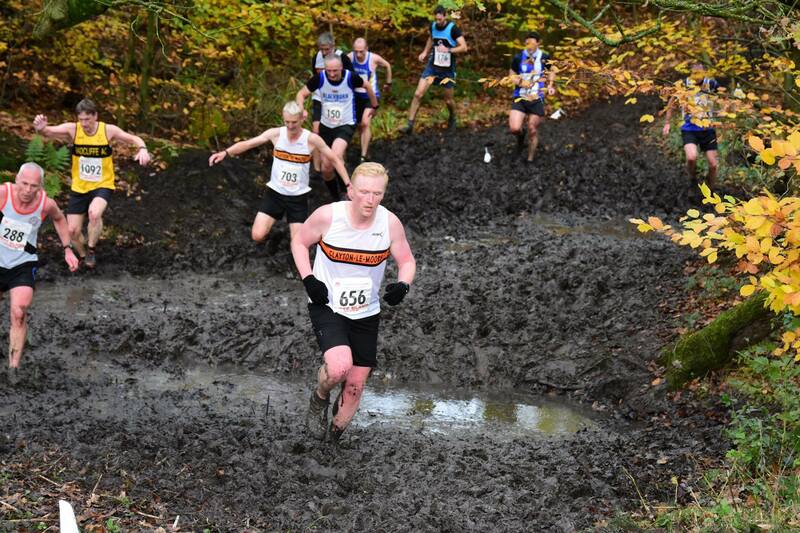 The Mid Lancs League incorporates itself once a year in the much bigger National Cross Challenge Series round held at Sefton Park. 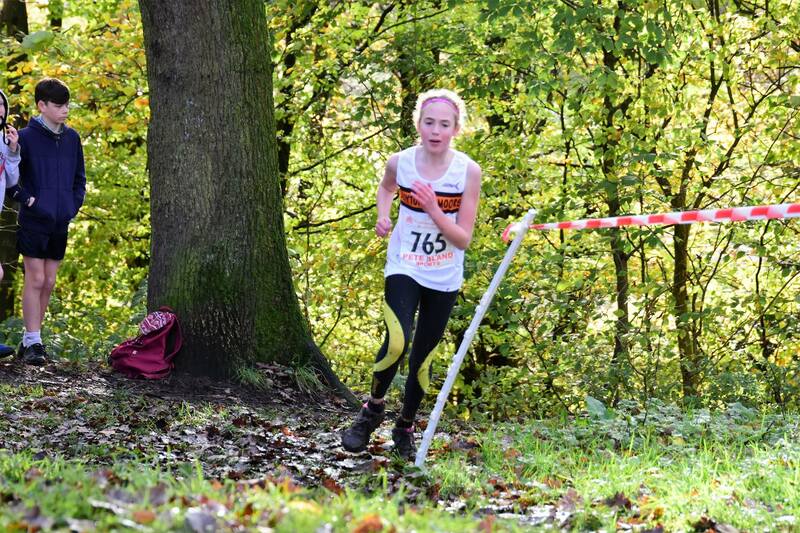 Whilst competing in the Mid Lancs League for points, this also gives athletes the chance to race in a large national standard field against some of the very best cross-country runners in the country. 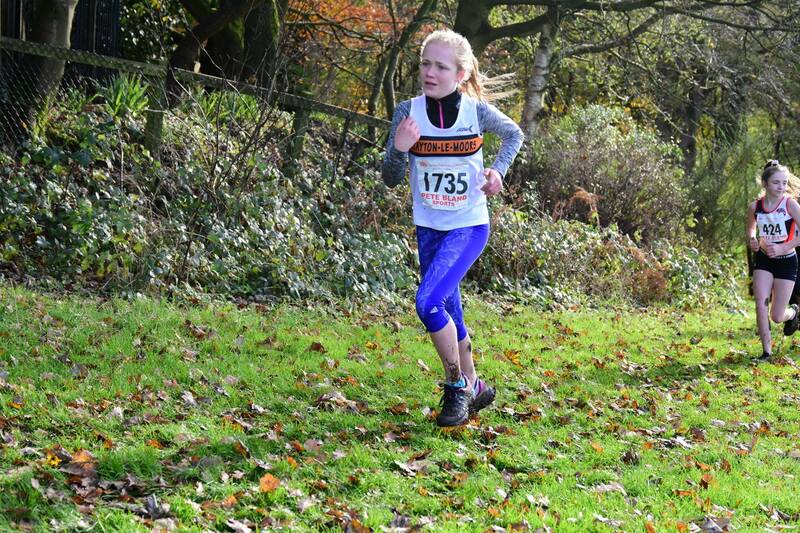 On a cold but dry morning in Liverpool and in the midst of top-flyte national standard opposition for the National Cross Challenge race, our Clayton Juniors all acquitted themselves really well with a particular mention to Amelia Halstead coming 20th in the U11G, Robbie Smedley 27th in U13B, and Ella Dorrington 28th in U13G. After traffic delays on nearly every motorway to Liverpool, 13 ladies managed to get there in time before the gun went off. Sefton Park was cold, wet, sunny and extremely muddy. Our first lady finisher was Liz Mullan followed closely by Amanda Duffy who missed the start due to gassing! 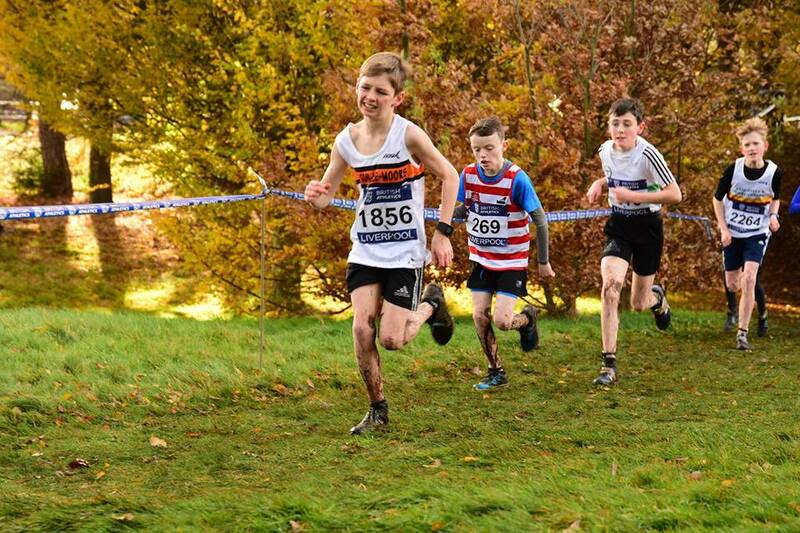 This entry was posted in Juniors, Other News, Roundup, Seniors, Seniors Cross Country, Seniors Fell by Alan Dorrington. Bookmark the permalink.